I’ve worked since I was able. When I was a teen, I worked as a teachers aide at a summer school every summer for over 4 years. I worked at a florist, 2 massages clinics, a call center, and others. To me, having Cerebral Palsy never meant that I couldn’t work. I was/am high functioning and never even contemplated the idea that I couldn’t or wouldn’t have a job. I got let go from the last job I had 2 years ago. But ever since then no one will hire me. Two years ago I did something I never thought I’d have to do… not until I was at least middle aged: go on Disability. People think that people on Disability are lazy or somehow got on Disability with “phony” or “non serious” disabilities. I can’t speak on others situations or experiences but here’s mine. It’s nice for about a month. And then you get bored. In my early 20s I worked 2 basically full-time jobs at once. So going from always working to staying at home all day everyday was hard to say the least. Since then I’ve probably applied to at least 60-70 places usually never getting a call/email or never getting past the first interview. It’s never that I’m not qualified or that I wouldn’t be able to do the job. But somehow everyone has said no. It really makes you rethink your capabilities, disabled or not. My daily routine basically consists of waking up, taking care of the dogs, making food, cleaning house, working on the apothecary or the blog, making dinner, tv, sleep repeat. Over and over and over. Dating was never an issue until dating Becca because I always worked. But 2 years into our relationship I had to do what I had to do to financially survive. It’s not easy constantly feeling like you’re not contributing. It’s not fun being home all day. Yes, I try to get out but when you live in a very small Midwest town, theres not much to do. Becca has been amazing. She never made me feel like wasn’t contributing to our little family. She’s been super supportive. I remember when I came home the day I was let go from my job and Becca was home and I just cried. She held me as I cried. Telling me everything was going to be okay and that we will figure it out. But I can tell you that I’d rather work than be in this position. When you qualify for Disability, especially permanent Disability, you also get health care and more for almost nothing. But the system makes you feel like you’re being punished if you find work. If I get a job thats more than 19 hours a week, I am disqualified from all the help. If I get married (which I just did), all of my benefits and disability could change even though we need my Disability aide. It’s not just lazy losers on Disability or people who want to take your tax money and live off of the Government and not care. I would kill for a job. Which is also why I have so many projects. Starting Wednesday Ophelia was the best thing that I could do for myself. 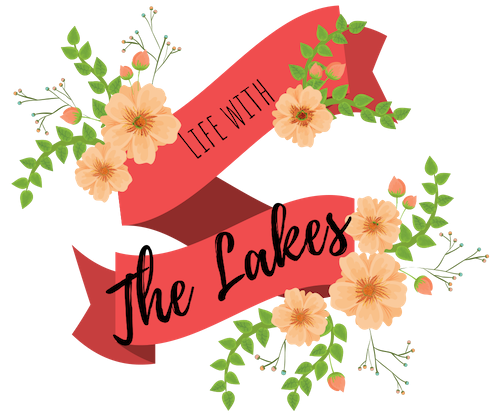 Even this blog will be a wonderful place for you to follow our journey, all the good days and the bad, and a place where we can put our truths. I’m determined to prove that just because someone is disabled doesn’t mean that they’re not able to do a job properly or not have purpose. We all need a little purpose. Never give up. Live with kindness and lead with love. If you are an able bodied person and you know someone who has a disability, take the time to know their story. See their abilities rather than their disability.